According to this Wikipedia entry, "The Pacific razor clam, Siliqua patula, is a species of large edible marine bivalve mollusc in the family Cultellidae." Submit your comments to WA by October 9, 2012! 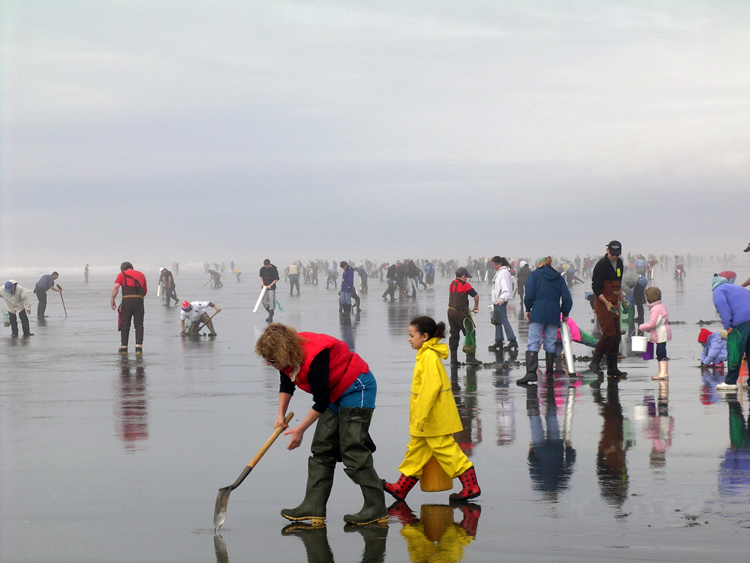 Suggestions for the 2012-13 season — tentatively set to begin in mid-October — can be sent via email to razorclams@dfw.wa.gov or by postal mail to: RazorClams, 48 Devonshire Rd., Montesano, WA 98563. Comments regarding fall digging opportunities must be received by Oct. 9, 2012. 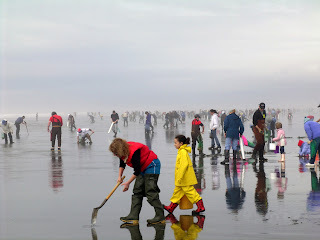 See at Google Scholar links to some scientific publications about Razor Clam ecology, and human impacts such as US Army Corps of Engineer dredging, aquaculture, neurotoxins, and more. 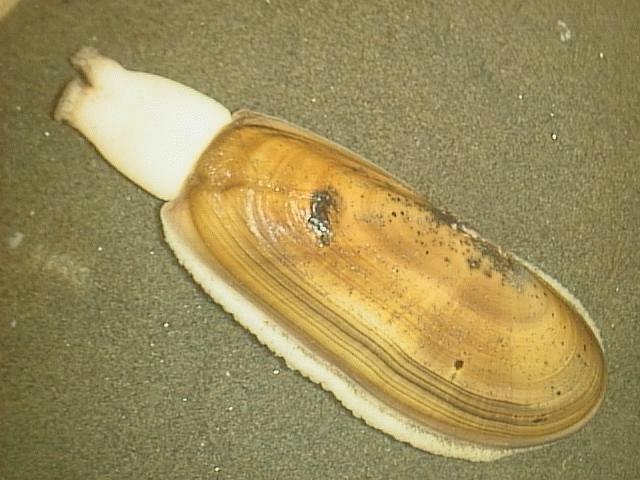 Shellfish poisoning from domoic acid is a concern for marine mammals, humans and others. Per Wikipedia entry for Domoic Acid, "The increasing frequency and geographic extent of toxic algal blooms along populated coastlines is generally attributed to human activities."